We value your trust. That is why we want you to trust us by knowing who we are and what we aim for. As a service-oriented home care provider approved by the Department of Public Health of the State of Illinois, we offer non-medical home care to the elderly. Our main function is to assist them to live with dignity in the least restrictive and healthy environment, thereby improve and enhance the quality of their lives. To us, quality care means providing quality service. To ensure that the standards of quality in-home care are met and even surpassed, BRC conducts comprehensive pre-screening, reference and background checks for all our caregiver applicants. 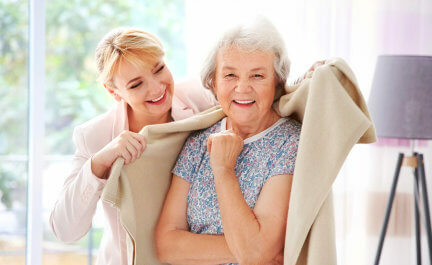 Once hired, we provide in-service training and continuing education that focus on elderly issues. 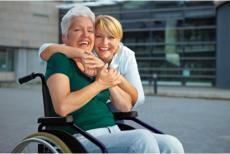 We select and train qualified and experienced caregivers that best fit our client’s needs. Should a non-medical home care emergency occur, we make extra efforts to provide care to our client as soon as possible. There is peace of mind when you leave your homebound love ones with someone you can rely and trust. Our caregivers at BRC look forward to caring for you at home. Please call us at 847-674-2388 to speak to a home care specialist about scheduling a non-medical home care needs assessment.